Who should do your Invisalign® treatment? What factors affect the cost of treatment®? 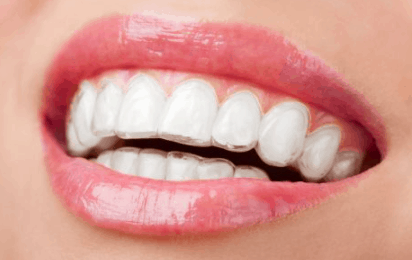 What are the different types of invisible braces? When you visit Smileworks for your braces assessment you’ll surely hear all about the clear, removable braces made by Invisalign®. If you want straight teeth but the idea of metal brackets leaves you cold then clear braces might be the treatment for you. Patients who don’t want a mouth full of metal or want the flexibility to be able to remove their braces when they eat will benefit from removable braces. But Invisalign® aren’t just removable. When you’re actually wearing them they are also almost completely invisible. This is because they are made from a clear material that is very discreet. Invisalign® is popular with patients who want the benefits of a beautiful smile without the inconvenience of metal or ceramic brackets in their mouths. This article, ‘Invisalign Liverpool’ is all about Invisalign®. But Invisalign isn’t the only braces treatment we offer here at Smileworks. To read generally about our different fixed, removable and specialist treatments take a look at our main braces page, Braces Liverpool. There are also other clear braces options including white or clear fixed brackets. These are available with Fastbraces® and other traditional orthodontic systems that we use here at Smileworks. This is the difference between Invisalign® and clear braces. Invisalign braces are clear retainers made from a technologically advanced material known as SmartTrack. When you start Invisalign treatment you get a number of slightly different numbered retainers to wear. The retainers work by moving your teeth a small amount by putting precision forces on them. Once your teeth have moved into position you put the next one on and the process starts again. Although the changes are only small they are precision engineered to move your teeth over time into the correct position determined by your Specialist Orthodontist. In this case that’s our very own Laurence Masters. 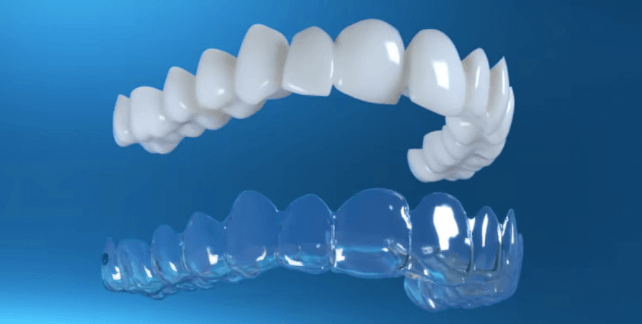 Invisalign are alive with wonderful technology and your treatment incorporates cutting edge 3D digital dentistry, 3D printing and advanced materials science. This and the fact that your braces are not only clear but removable is what makes Invisalign® one of the world’s most popular orthodontic treatments. Patients will get a personalised ‘clin check’ which is a digital estimate of how your teeth will move over time that you can watch on screen. This allows you predictability and peace of mind. Fixed braces are great. They are great for serious orthodontic cases where there is lots of moving to be done. 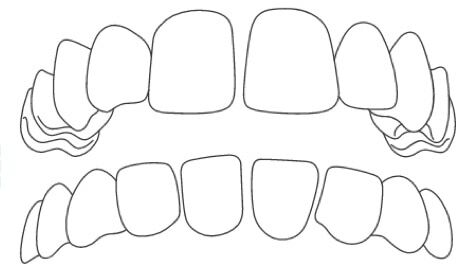 Metal brackets are bonded to the teeth and connected by wires. There is simply no better way to move teeth than this method and for this reason, metal brackets are wonderful. Patients (typically adult braces patients) complain that fixed metal brackets make them feel self-conscious. This can be more of a problem for some than others and is purely up to each patient. There are also issues relating to orthodontic extractions. Follow the link for more information on tooth removal as part of your orthodontic treatment. Some people actually like having their braces on and enjoy the different colours, styles and fun you can have with fixed braces. Other patients just want nobody to know they are wearing braces or their job or lifestyle makes fixed braces not an option. You can get clear or ceramic brackets and clear wire for your fixed braces but this makes them slightly less conspicuous rather than invisible. For many patients this is not enough and it involves extra investment from you because ceramic brackets are more expensive than metal ones. Then there’s the food issue. When patients wear fixed braces they can trap food and require more cleaning and looking after than clear retainers. Many patients dislike eating with metal braces on and the fact that you can remove Invisalign® is a huge benefit. Here at Smileworks we have had Invisalign® patients who are actors, lawyers or even people who don’t want their family to know they have braces on! But your reason for wanting a discreet option for your braces is up to you. The majority of patients just don’t like the sound of braces – so Invisalign® is the obvious choice for them. Invisalign® can correct a whole host of orthodontic contraindications. Here are some examples of the problems Invisalign® can fix. 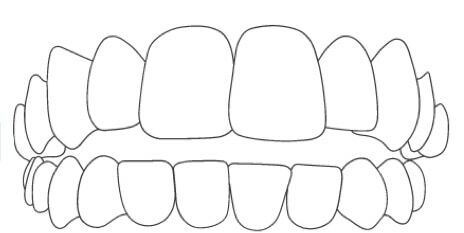 An underbite can also be described as a reverse overjet and is where the lower front teeth (or jaw) protrudes relative to the upper front teeth or jaw. If you’d like to learn more about whether you have an overjet then read our article here about the Overjet. If you’d like to learn more about the overbite and how this common malocclusion is caused then read our main article here: Overbite. 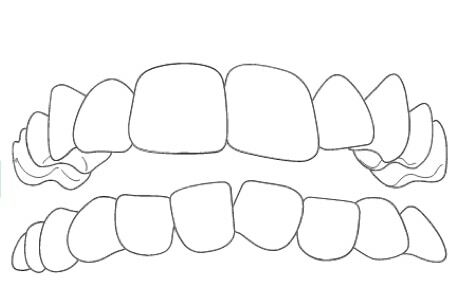 Where the lower teeth bite outside the upper teeth. It’s very important that your Invisalign® is carried out by an experienced Invisalign® provider. You should be able to find your Invisalign® provider on the ‘Doc Locator’ on the Invisalign® website. Here’s our very own Dr Laurence Masters on the Invisalign® website with details of his cases, experience and Smileworks contact details. Dr Laurence is a specialist orthodontist and we wouldn’t recommend having treatment with a general dentist as the knowledge and results that a specialist can achieve are truly exceptional for broadly the same price. Treatment takes a little longer than conventional braces as the tooth movements are gradual. You’ll expect to be in treatment for around 18 months to 2 years compared with some much faster treatments that can be completed in 6-9 months. Patients who want the particular benefits of Invisalign will usually not mind that they are in treatment for slightly longer. It’s very important that you wear your retainers though. One of the downsides to Invisalign® is that patients who don’t wear them can be in treatment for much longer. Your cosmetic dentist will advise precisely how long your clear braces treatment will take so you will have a good idea of the timescales. The Invisalign® system is basically a number of clear plastic retainers. Similar to whitening trays that you might get for your whitening procedures. They are all slightly different but the differences between them won’t be visible to the untrained eye. The cost of treatment depends on the severity of your case. You’ll need to come along for a consultation where Dr Laurence will be able to measure the severity of your orthodontic conditions. So when patients ask the question, ‘how much does Invisalign cost’, we will typically tell them ‘it depends’. This can be frustrating. However, there’s no way of telling with precision until you’ve been seen by the orthodontist. The cost of Invisible braces at Smileworks starts from £3,000 – but can be closer to £4,500 for complex cases. This is a little more than some of our other braces systems but the technology and advanced systems involved cost more. One example of this technology is the ‘clincheck’. This is where cad/cam images of your mouth are taken and sent to the Invisalign® laboratories. They feed this information into a computer that models precisely how your teeth will move in an animation over time. This also involves a smile assessment and precise details of the time and movement that you will experience. The computerised models are also used to 3D print your clear retainers. This process is cutting edge – and reflected in the Invisalign prices. Here at Smileworks we see no point in giving people beautiful straight teeth if they might not be as white as our patients like. So we give you plenty Whitening gel syringes to create a straight and white smile. Simply squeeze the enlighten gel directly in your Invisalign retainers. The cost of Enlighten is usually £500 but is a complementary gift from all of us here at Smileworks for our Invisalign® patients. Like all our braces treatments, Invisalign® is available on finance. Below is an outline of what you can expect with from Chrysalis Finance, our finance partner. Invisalign® is a treatment that can be carried out by a general dentist or an Orthodontist. A general dentist is just a dentist who has gone on an Invisalign course and been shown the basics of the system. Because the system is largely automated, a deep knowledge of orthodontics is not required. This is why general dentists can do this type of treatment. However, at Smileworks we have a specialist Orthodontist, Dr Laurence Masters. He loves Invisalign and can get truly superb results. 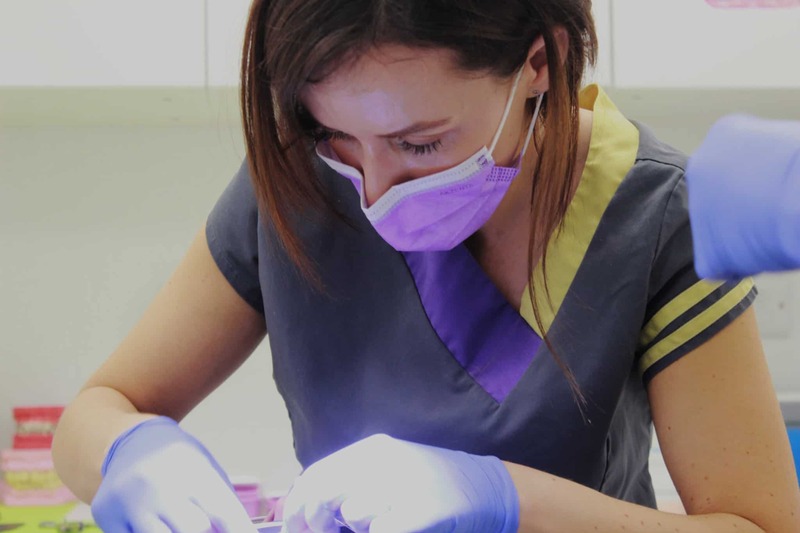 He is significantly better qualified and more experienced than general dentists and supervises some of our dentists cases to make sure they are of an extremely high standard. Click on Laurence’s picture to read more about his superb qualifications. At Smileworks you can have Dr Laurence as your Invisalign dentist for the same price as a general dentist. We believe that everyone should have access to the supreme levels of expertise that exist in the industry. Go to pretty much any other private dentist in Liverpool and you’ll get treated by a general dentist. Invisalign prices are pretty stable up and down the UK with costs being dependent on how much teeth straightening your orthodontist and the Invisalign® system has to do. To compare prices in your region you can find practitioners using the Invisalign DocLocator tool here. Simple cases are less expensive whereas more complicated straightening can cost more. This is simply because as well as the price of the materials, we have to pay our orthodontists. So it makes sense that longer and more complicated cases will cost more money. Generally, Invisalign cases will cost £4,000 for a typical case. However, there is an option called ‘Invisalign light’ which is for very straight forward cases and starts from £3,000. This is why many companies say that their Invisalign is ‘from £3,000 whereas for most patients it’s at least £4,000. 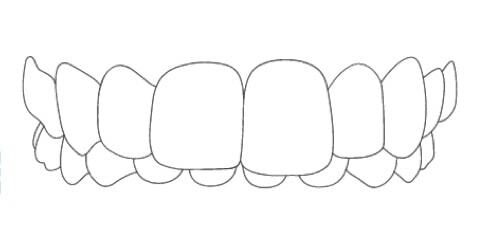 Here’s a table explaining all the types of invisible or discreet braces. Our dentists and orthodontists here at Smileworks have rated them in order of how discreet they are, time in treatment and prices. Hopefully this should help you make your decision. Invisalign is extremely safe. It has been used in almost every country in the world on millions of adults and teens since the 90’s. The retainers may feel tight at times (especially if you forget to wear them) but the discomfort is short lived. Patients rarely complain of pain or discomfort with removable retainers. One main reason for this is that you can take them out if they cause you discomfort. Metal fixed braces are more uncomfortable than removable retainers or clear braces generally. Firstly you’ll need to make an appointment at Smileworks for a braces assessment. The best way to do this is call us on 0151 236 5166 . When you come in your orthodontist, Dr Laurence Masters will assess your case. He then presents you with a treatment plan outlining the price and a rough estimate of costs to within £500. Then we take impressions or moulds of your teeth and send them to Invisalign® to be scanned into their software programs. They then send back your clincheck and you’ll be able to watch it on the screen at your first second appointment. Your retainers will arrive shortly after and you can begin your treatment. You’ll have your progress reviewed every few weeks by your orthodontist to make sure that things are going to plan. Then when your teeth have moved into the position we want you’ll get your bleaching gels and be able to start whitening. Both our dentists and Orthodontists at Smileworks love braces and love Invisalign®. That said, we’re not a one-trick pony – you know those dental practices who just do or two types of braces. Your braces type will be determined by what’s the best system for you so you can start living a life of confidence, happiness and success with your beautiful new smile. Take a look at some of our videos to get a better idea about what it’s like at Smileworks or just fill in the form below for an immediate call-back from our front of house team. 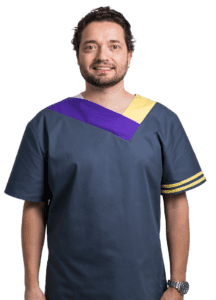 Fill out the form in the footer of this page and someone will get straight back to you and you will have taken the first step towards the smile of your dreams.